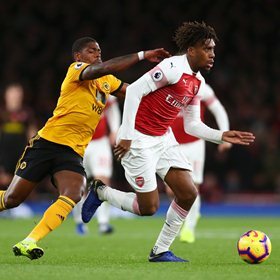 Super Eagles star Alex Iwobi was substituted at half time in Arsenal's dour 1-1 draw against Wolverhampton Wanderers at the Emirates Stadium on Sunday evening and his performance prompted mixed reactions from the English media and some fans alike. The Mirror rated the Nigerian with a 7 out of 10. "Iwobi 7 - Started well but hit and miss after. Subbed in tactical switch." Football blog dedicated to Arsenal FC, www.allarsenal.com wondered why Iwobi was substituted at half time. "He was the strongest member of the Arsenal attack in the first half so it was a bit of surprise to see Alex Iwobi substituted at the break. The Nigerian was a willing runner and one of the sources of creativity in red." The blog handed Iwobi a decent 6.5/10. "Alex Iwobi (6/10) Lacked the end product on the night. He looked good but was taken off at halftime." 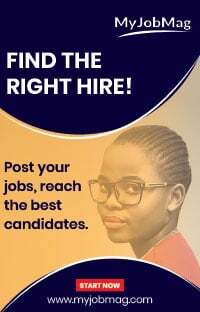 Meanwhile some Arsenal fans took to Twitter to express their thoughts on the position Arsenal head coach Unai Emery elected to play the Nigerian. "Today we played dreadful... Leno saved us.. Please @UnaiEmery_ stop starting Auba on left wing.. Let Iwobi start there & Mkhi on right wing.. Auba or Laca.. One can start at the bench... Team arrangement cost us." Another Gunners fan questioned Iwobi's half time substitution. "For me Auba is a no no as a winger... if we can't play a 4-4-2, i think one of the strikers should be benched... I think it was a mistake subtituting Iwobi though, he would have played way better on the left where Auba played. #ARSWOL." The Super Eagles star is expected to arrive Nigeria early this week ahead of Nigeria's 2019 Africa Cup of Nations qualifier against South Africa on Saturday, 17 November, at the FNB Stadium in Johannesburg.